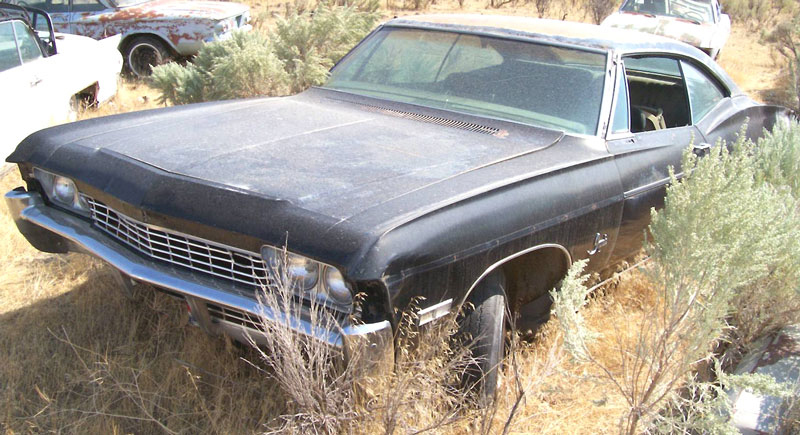 This black 1968 Chevrolet Impala SS Super-Sport-optioned 2 door fastback hardtop is a 396 CID V-8 option automatic transmission car ready to be restored or customized. The front turn signals and upper grill panel are missing. The grill is dented The left front fender trim is missing. The top front of the right front fender has a dent. 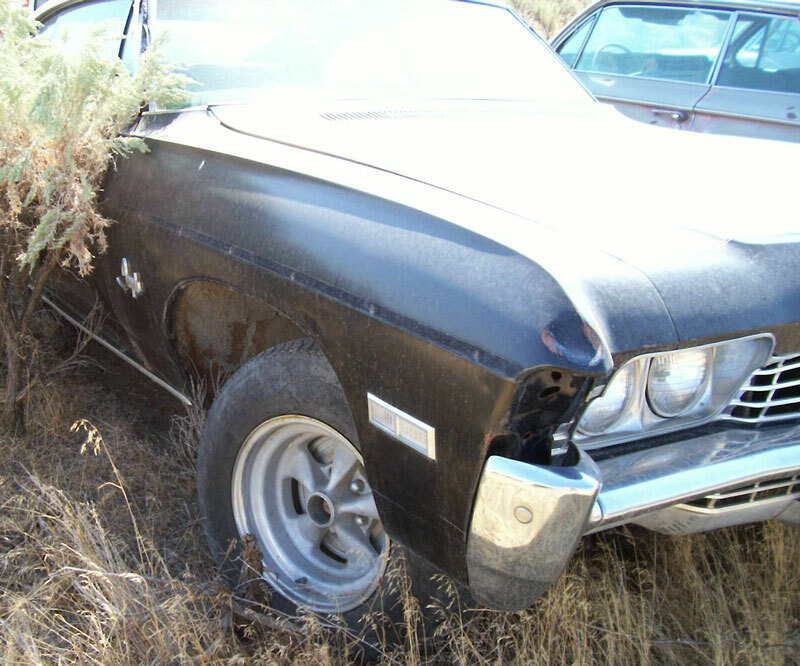 The left quarter is damaged and the trim is missing. There is some rust around the rear wheel wells. The panel under the rear bumper is pulled out on the left side. There is rust forward of both doors in the rocker area. 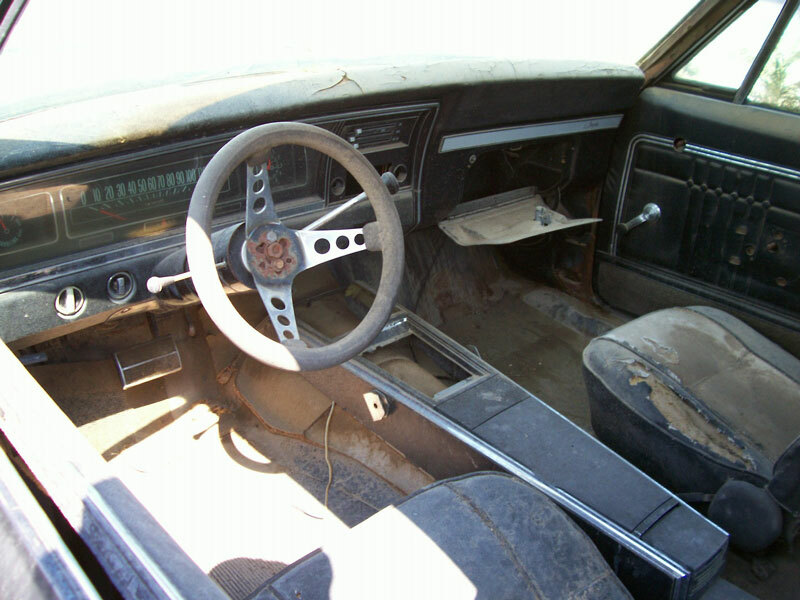 The black interior is all there except the console shifter assembly is missing. The car has non-stock mag wheels. This is an air conditioned motor and included is the complete a/c system with a/c dash. The car is $6,000. 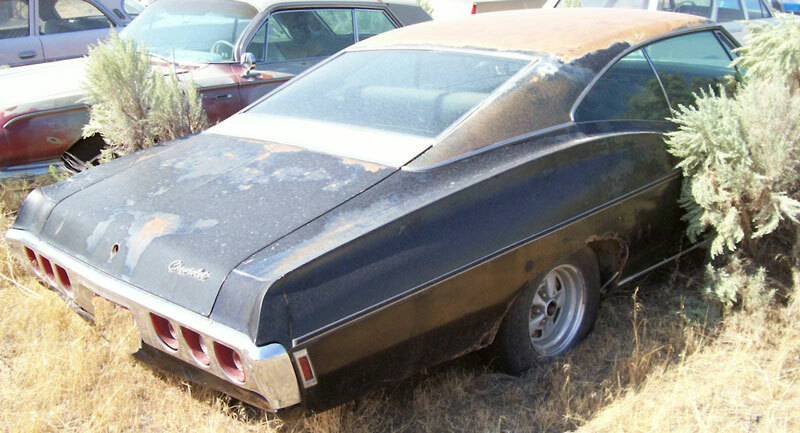 The car comes with an extremely scarce and good running 1969 Chevrolet RPO L35 SS-396 Turbo-Jet OHV 325 HP 4V automobile V-8 and a rebuildable core Turbo 400 transmission for an additional $10,000.